Bypass Samsung J7 Pro FRP/Google Account Lock On Binary U1,U2,U3,U5/Oreo V8.1.0 Without Pc. Remove Samsung J7 Pro FRP Lock Required File. 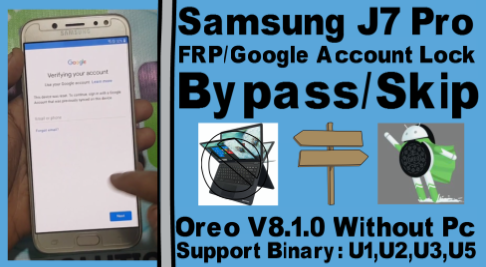 Remove Samsung J7 Pro FRP Lock Method.